Do you like sliders? 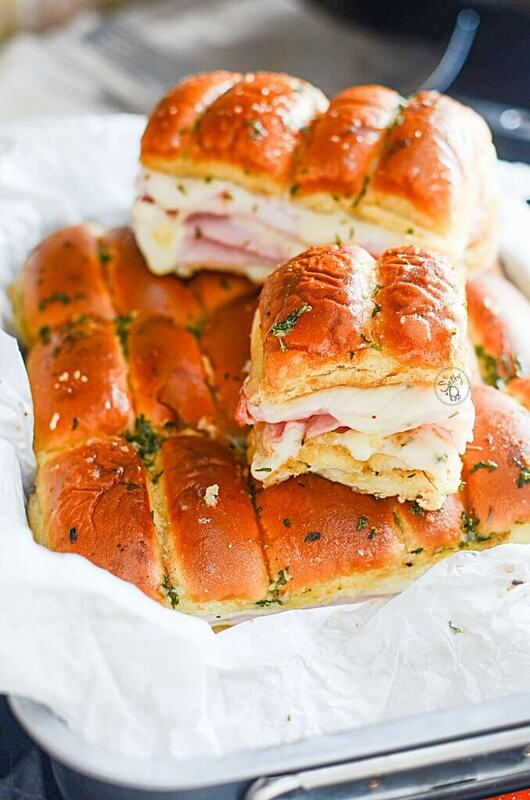 These unique Chicken Cordon Bleu Sliders are like having the traditional type dish, but at the same time, all handy like, super easy to hold because it’s between a bun! I know it sounds a bit odd, but trust me when I say these are so tasty! 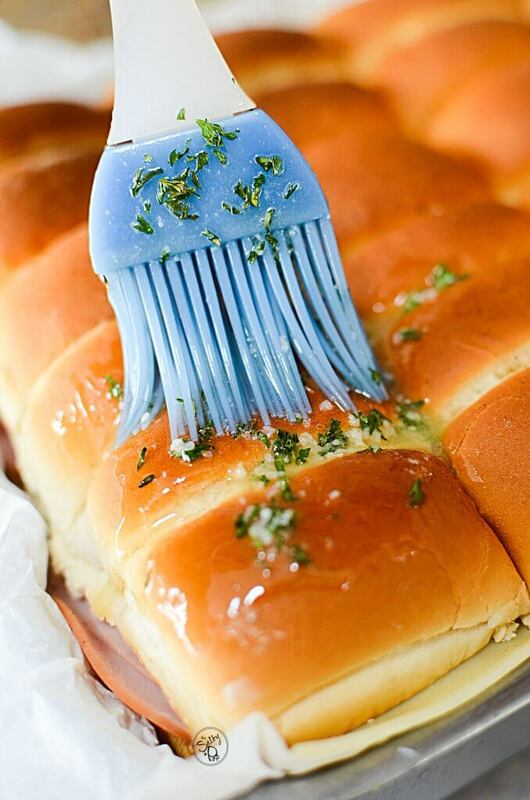 These sliders are so perfect for game days, parties, cookouts, and overall any event where you might have to feed a bunch of people all at once. When I was thinking about making these, I thought, what can I use to bring the ‘fried’ chicken part, to these chicken cordon bleu sliders? Traditionally, this dish consists of chicken breasts with ham and swiss stuffed on the inside, and then coated and fried in breadcrumbs. 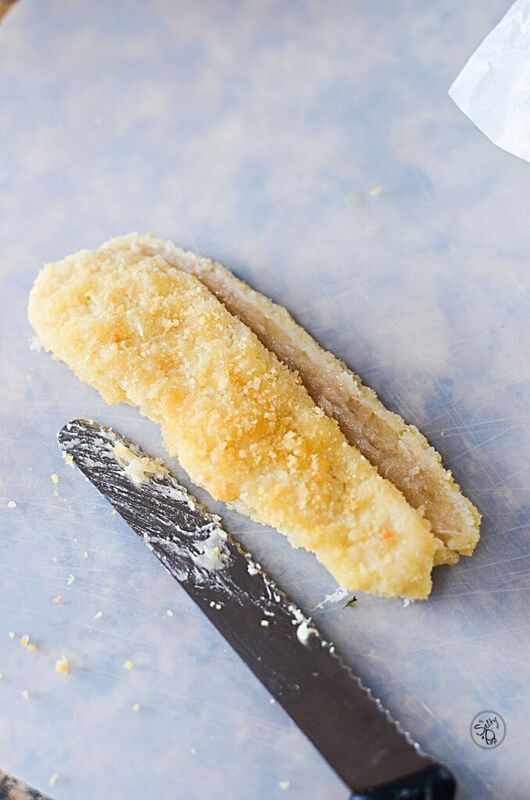 So easy peasy, I bought some chicken fingers and cut them in half lengthwise, as adding them whole would add just too much bulk to the slider. The chicken fingers I purchased were uncooked, so after cutting them in half, I roasted them in the oven for the amount of time indicated on the box. Then I assembled the sliders from there. 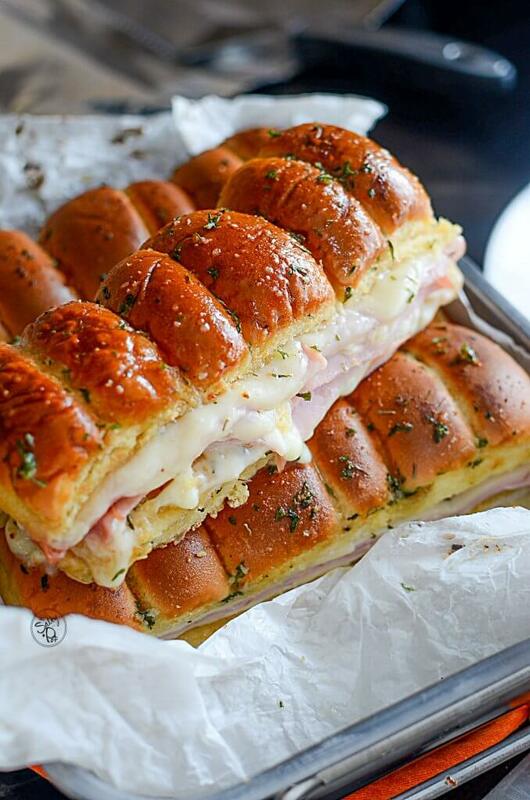 How do I Assemble the Chicken Cordon Bleu Sliders? 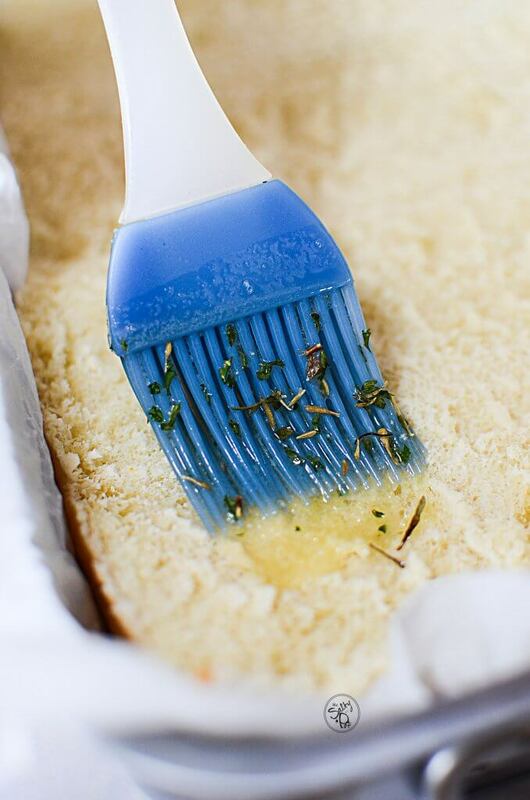 Mix up the butter, garlic and parsley mixture and spread it (or dab it) over the bottom half of the buns. Incidentally, you’ll want to put the buns in the baking pan that you’ll be roasting the assembled sliders in. It gets a bit hard to put the whole assembled thing INTO the pan once it’s all put together. As I mentioned the before, the chicken fingers I bought were raw in the center, so I sliced them in half and roasted them in the oven before I put them on the bread. I wanted to make sure I didn’t make anyone sick because I didn’t cook the chicken long enough. No one likes bubbly guts. So, then I laid the chicken fingers down on the buns. Also, I dotted the chicken fingers with a bit of the butter garlic mixture just to add an extra layer of flavor for the chicken. I personally think it was a genius idea, and you too will be a genius if you do the same thing.. lol. Adding extra flavor to anything while cooking is genius, right?!?!?! Ok, so then I layered the cheese on top of that. And then again, followed it up with some more swiss cheese. Then, topped the upper portion of the buns on top of the cheese and used more of the butter & garlic mixture on top of the buns. Into the oven, they went to get all melty, gooey and delicious! 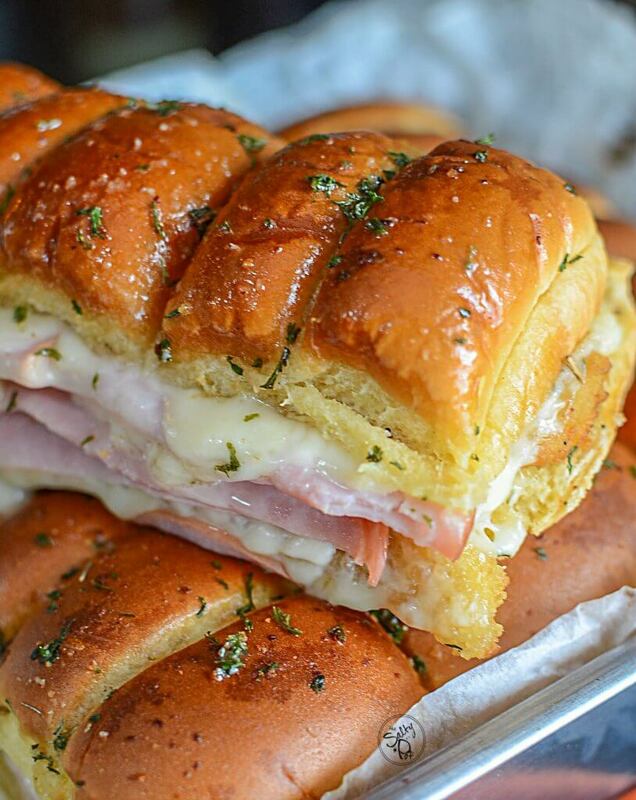 There are so many variations of different sliders you can make. I made an Italian Slider that’s incredibly delicious, (has super gooey cheese and savory deli meats), and I have another plan in the works that’s a tad different than your typical slider. Wish me luck! 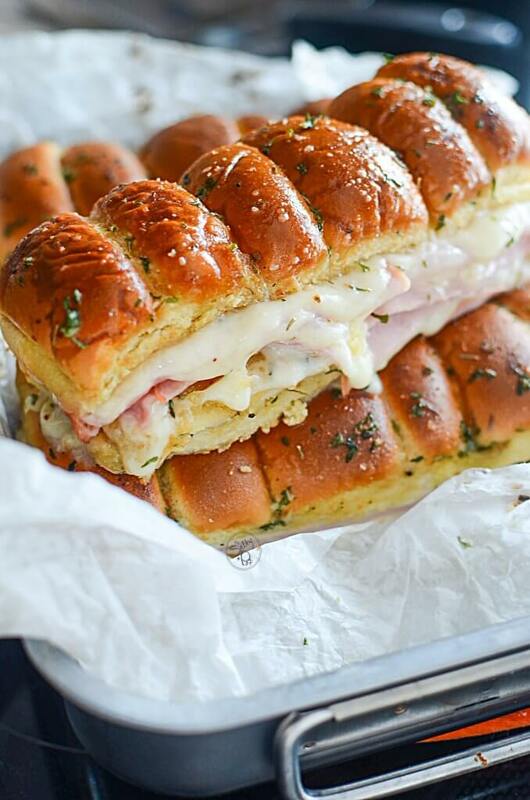 IN the meantime, I hope you enjoy this Chicken Cordon Bleu Slider recipe. If you make it, or any variation of it, I’d love to hear from you!! Thanks so much for stopping by The Salty Pot today! 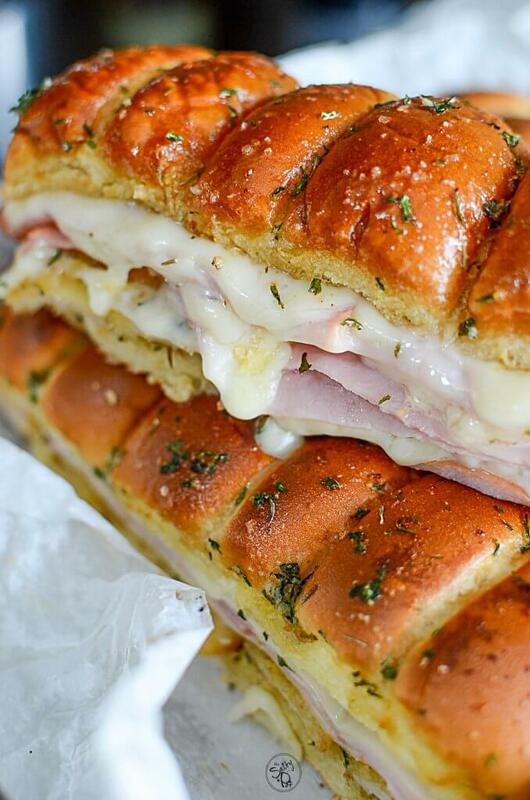 A handy and delicious twist on the traditional Chicken Cordon Bleu! 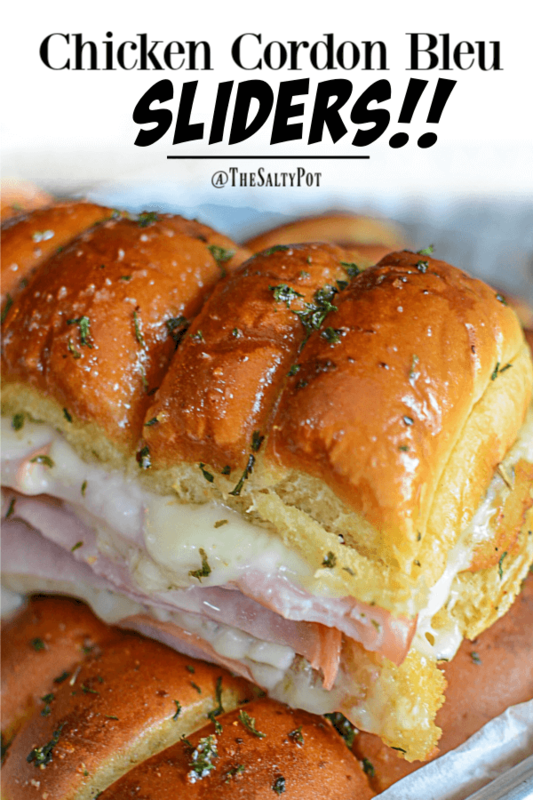 These sliders have all the same flavors, but they are easier to make than chicken cordon bleu - plus they're incredibly delicious! 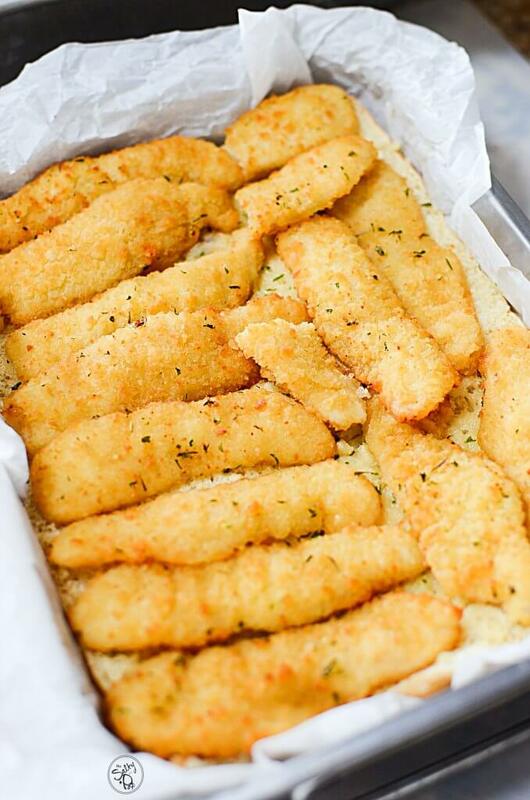 *see notes* If the chicken fingers are raw, precook them according to the package instructions. 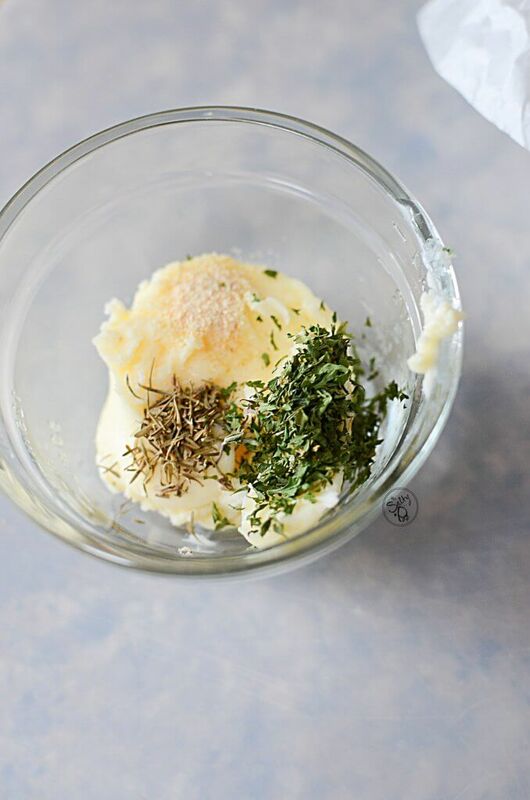 Mix the butter, parsley, thyme, and garlic together. Melt. 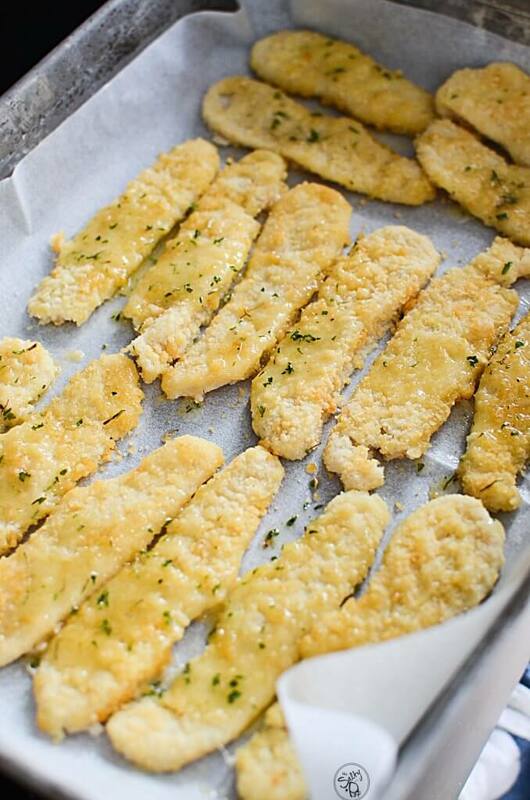 Dab the butter on top of the chicken fingers to add more flavor before baking. 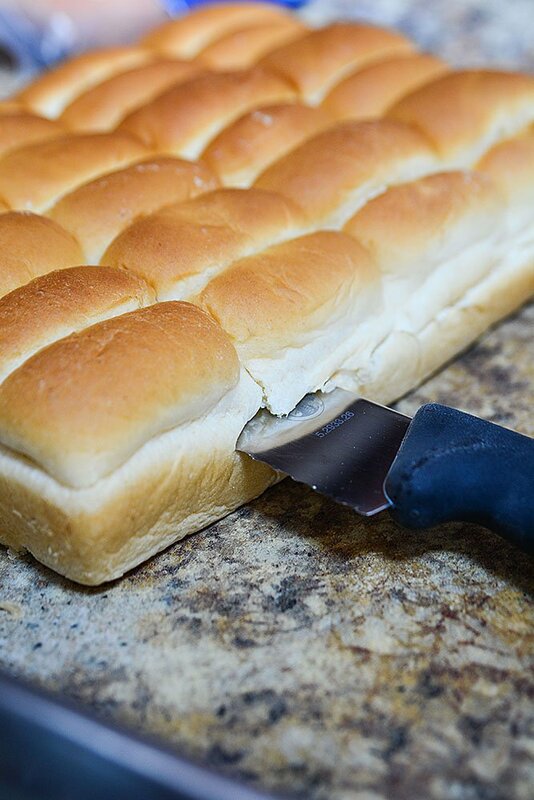 Also, dab the butter on the surface of the bottom tray buns. Lay the cooked chicken fingers on the bottom layer of the tray buns. 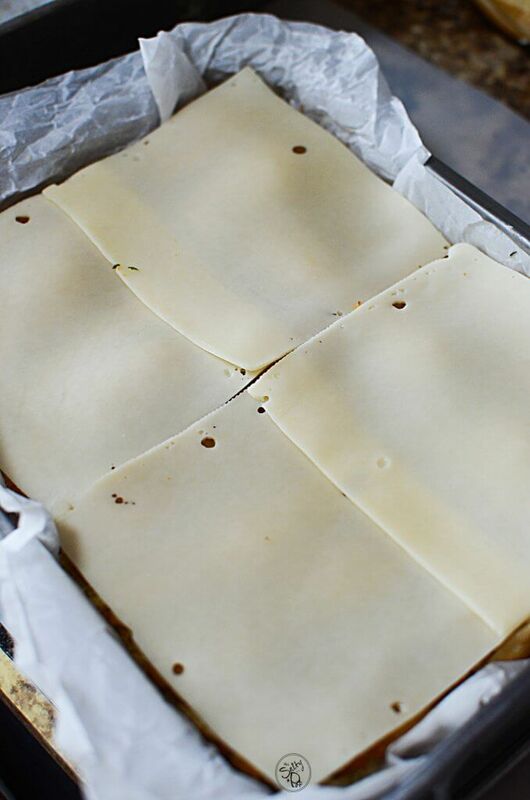 Roast in the oven for 15 - 20 minutes, until the tops are nice and golden brown, and the cheese is nicely melted. 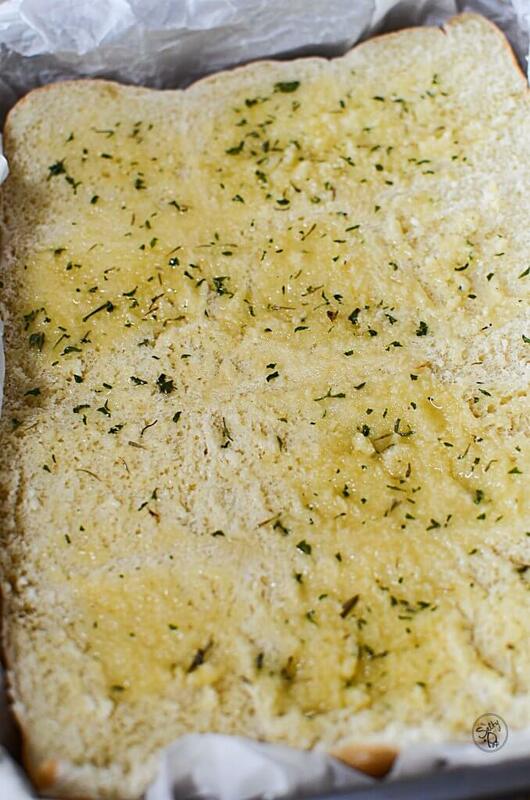 Let rest a few minutes after removing from the oven and be careful as the cheese is extremely hot! The chicken fingers I purchased were raw and required cooking before I could use them in the sliders. 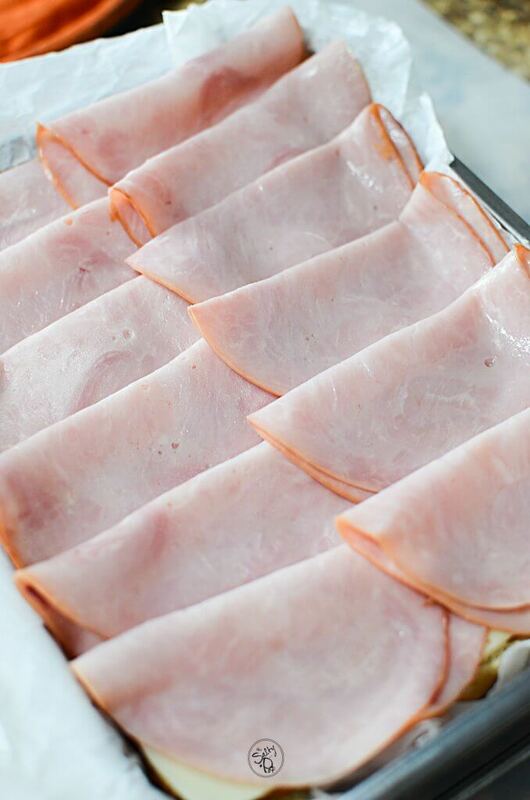 It's best to precook them if they are raw so that you can be sure the chicken has been fully cooked through. If you purchase already cooked fingers that need only to be warmed, then skip step 2.